A proof of the abc conjecture? The abc conjecture is back in the news. Recently, there was yet another conference devoted to the proof of the conjecture claimed by Shinichi Mochizuki. This time, the conference was at the University of Kyoto, which is Mochizuki’s home institution. The meeting was a rare chance for face-to-face engagement with him, as he doesn’t travel outside Japan. Experts are still grappling with his proof, which was first published in 2012 on his website. There is no consensus that the proof is correct. It spans four hundred pages and develops a new field of mathematics called Inter-universal Teichmüller theory (IUT). IUT is not your grandparent’s number theory; this is cutting-edge stuff with only one expert on the planet who claims to understand it. As reported in Nature, the collection of number theorists studying Mochizuki’s proof is growing. Their thinking is that it may take a few years to determine if the proof is correct. IUT theory itself is making big waves. Ivan Fesenko, co-organizer of the Kyoto meeting, expects that 100 of the most important problems in number theory will be solved using IUT! I find this saga surrounding the purported proof of the abc conjecture fascinating. There hasn’t been a similar situation like it that I can recall in modern mathematics. Whether the proof pans out or not, experts are heralding it a breakthrough, containing profound ideas that will have a powerful impact on mathematics. Given the ongoing interest, I am reposting my blog from December 2015 that describes the abc conjecture in simple language. I also talk about the nature of proof, which is a mathematician’s bread and butter. Mathematician love to chase after conjectures, which are unsolved mathematical claims. There are thousands of conjectures, but the tough ones are sometimes famous. For example, the Poincare conjecture makes a claim about shapes in three dimensions, as part of the field of topology. It was recently solved by Grigori Perelman, and resulted with him being awarded then rejecting the Fields medal. In my own field of graph theory, Meyniel’s conjecture is a hot topic. It makes claims about how the size of the cop number of graph. Most people believe Meyniel’s conjecture is true, but we seem far from a proof. Check out my Mathematical Intelligencer article on conjectures that can be tweeted. The problem with proving a conjecture is that the proof could be right in front of you, or it could be a million light years away. While they can provide evidence, no experiment or algorithm will tell us for sure whether a conjecture holds. My non-mathematician friends are amused that there is a field of study called number theory, which investigates properties of the counting number, 1,2, 3, and so on. Most people think everything to be learned about numbers we learn in elementary school. That is correct to some extent. While it is true we learn arithmetic there, there are some of the deepest conjectures in all of mathematics lying within these seemingly mundane things like counting numbers. if n > 2. By the way, the case n = 2 are the familiar Pythagorean triples: for example, as 22 + 32 = 42, we have that (2,3,4) is one such triple. The abc conjecture has been referred to as one of the deepest problems in Diophantine analysis. We may have solved it, but no one can understand the solution. What is it? Integers are co-prime if they don’t have common factors. For example, 5 and 6 are co-prime, but 4 and 6 are not. Now suppose you are given co-prime integers a and b, and let c equal their sum: c = a + b. Let d be the product of all the distinct prime factors of abc. This is sometimes called the radical of the integer, or the greatest square-free factor, or its conductor. The abc conjecture roughly states that most of the time, c is smaller than d. More precisely, for every ε > 0, there are finitely many co-prime a and b such that c > d1+ε. Confused? That’s OK. It may take a couple of rereadings to grasp what is claimed here. And by the way, most everyone is confused by the abc conjecture at some level, or else it would be a plain fact in textbooks. To illustrate, let’s consider an example. Take a = 11 and b = 12. Then c = 23, and so abc = 3,036. We derive that d = 2·3·11·23 = 1,518, which is the product of the distinct prime factors of abc. So c < d and hence, c < d1+ε for any ε you choose (no matter how small). The conjecture says that this is what typically happens: there are only finitely many a and b for a fixed ε so that c > d1+ε. Why the ε? If you let ε =0, then we know there are infinitely many exceptions to c < d. The conjecture says that even for very tiny ε (like 1/1,000,000,000) there are only finitely exceptions. Why does it matter? Well, if it were true, many other conjectures in number theory would follow from the abc conjecture. 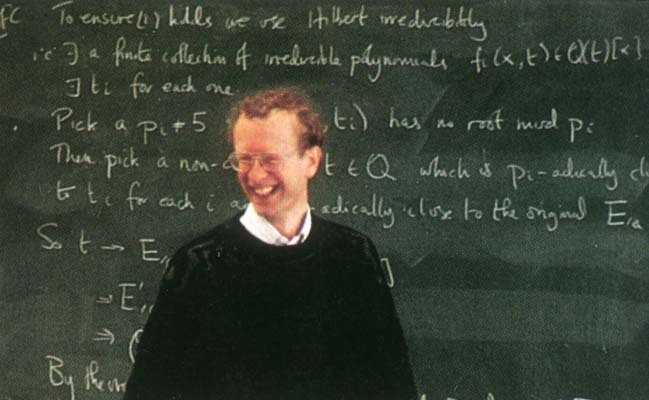 A stronger version of it even implies Fermat’s Last Theorem, along with other lesser known but highly non-trivial results such as the Mordell conjecture (proven by Faltings) and Roth’s theorem. The abc conjecture plays, therefore, a central role in our understanding of the properties of numbers. Number theory matters because the security of our banking systems, e-mail, and virtually everything else in our digital age relies on properties of numbers (like prime factorization). Another view is that the abc conjecture tells us something about the deep relationship between the operations of addition and multiplication in the integers. That such conjectures remain open tell us we don’t fully understand the interplay of these fundamental operations at a basic level. It also matters in the same way that Mount Everest matters. It’s a huge challenge to climb Everest; it stirs the passion of people to try to conquer it. How close can we get? Even though the conjecture is unproven, as is typically the case, there are myriad partial results proving weaker or alternate versions of it. For example, the number theorist Cameron Stewart gives a high level description of his recent work on the conjecture (not for the layperson). He makes the important point throughout that the abc conjecture, if true, emphasizes in a succinct way that the arithmetic and multiplicative properties of the integers are independent. Enter Shinichi Mochizuki. 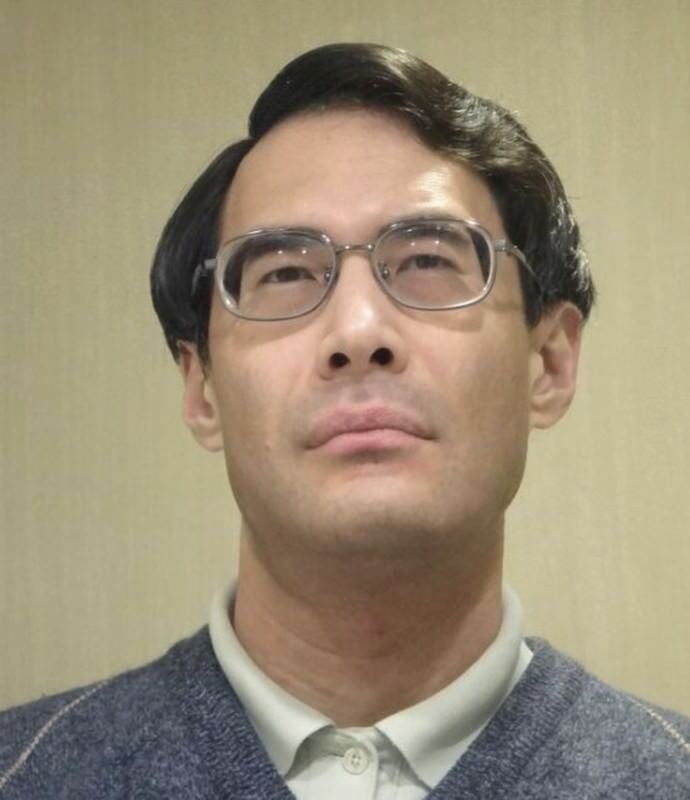 This number theorist from Kyoto University claims to have solved the conjecture, and experts are taking his claims very, very seriously He is a heavy weight mathematician, who has done some amazing things in his research such as solving a major conjecture of Grothendieck. The only obstacle is that no one else understands his proof. It is at least 500 pages long, running over many preprints over many years, and is based on something esoteric sounding called Inter-universal Teichmüller theory. A gap was found in his proof in 2012, but he claims to have now fixed it. A special meeting was convened at The Clay Mathematics Institute at Oxford University this month devoted to understanding the proof. Mochizuki hates travelling, so he only appeared by Skype. The proof remains a mystery, despite the efforts of experts at the conference to understand it. As I tell my students, a proof is not a proof until someone else reads and understands it. It is not an established proof until it is vetted by experts, usually through anonymous peer review through a journal. Conference participants were left in the dark about the claimed proof of the abc conjecture, with a follow-up meeting planned for Kyoto in July 2016. This all sounds like a science fiction, but it’s real enough. It reminds me somewhat of the saga over the proof of Fermat’s Last Theorem in the 1990’s, when Andrew Wiles proposed a proof and later found an error. He fixed the error, fortunately, and his proof is part of the accepted canon. We can only hope something analogous for Mochizuki’s proof; to be clear, no error has been found in the latest version, but experts cannot verify it. Hence, the abc conjecture remains officially open. It may be cliché, but I think that the journey of discovery towards solving a conjecture is as important as finding the solution. The awesomeness of mathematics is evident as we claw our way up through the Mount Everest of mathematical truth. The ultimate destination, however, is really never reached, as there are always more conjectures to conquer. This “peer review” sounds like black art. If it is there, “there is a proof”. If it is not there, “there is no proof”. Actually, a proof is a proof if and only if the entire sequence of deductions is valid, modulo some basic mysteries (such as whether ZF + Axiom of Choice is a non-contradictory theory). The rest is laziness at best, social engineering at worst. Not sure I really understand your point, but thanks for checking out the blog and commenting.